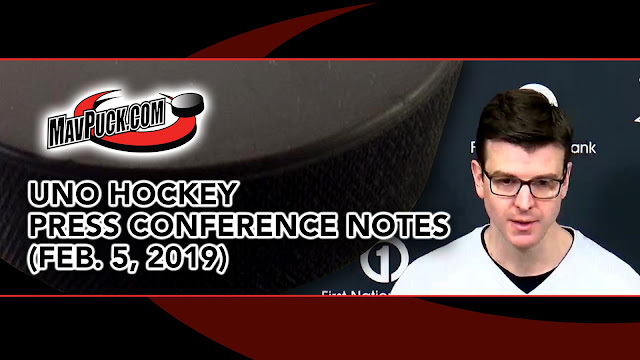 UNO Hockey Coach Mike Gabinet, senior forward Ryan Galt, and freshman defenseman John Schuldt answered media questions as part of the “Omaha Athletics Weekly Media Availability” on Feb. 5, 2019. Gabinet & Co. fielded questions regarding the UNO Hockey team’s series against Western Michigan on Feb. 1-2, and the upcoming series at Miami (OH) on Feb. 8-9 in Oxford, OH. They are excerpted below. If you would like to watch the entire hockey news conference (starting at the 12:15 mark), you can do so here.